Inspectors Confirm 'Likely' Use Of Chlorine As Chemical Weapon In Syria In February : The Two-Way Two cylinders dropped on the rebel-held Syrian city of Saraqeb — sending nearly a dozen people to seek medical help for nausea and other symptoms — had contained chlorine, the OPCW says. 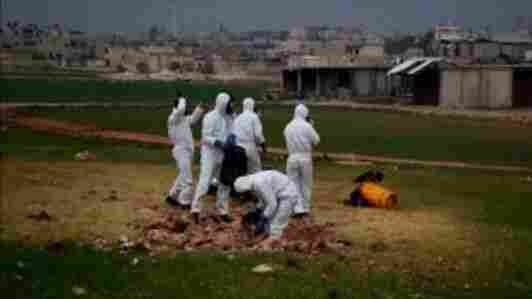 After a visit to the site, the OPCW says, its fact-finding mission has confirmed "that chlorine was likely used as a chemical weapon" on Feb. 4 in Saraqeb, a small city that's about 12 miles southeast of Idlib. It also used evidence that was gathered by several nongovernmental organizations. The OPCW report did not assign blame for the Saraqeb incident, other than noting that at the time, "the city was not under government control." The apparent attack took place shortly after 9 p.m., when witnesses reported a helicopter flying over the the Al Talil neighborhood. Two "barrel" cylinders were dropped onto an open field. Soon afterward, eight men who had been taking shelter in a nearby basement grew ill. A pungent odor filled the structure, they said, and they "immediately developed shortness of breath, nausea, and a burning sensation in the eyes," according to the OPCW report. "Witnesses reported being notified of the possible use of toxic gases and were advised to go to higher ground. They headed to the rooftop of an adjacent building," the report states. "On the way upstairs, a few of them lost consciousness and others struggled to reach the roof. They reported helping each other climb the stairs and using cloths to cover their mouth and nose. They also reported calling for rescue via a hand-held radio." 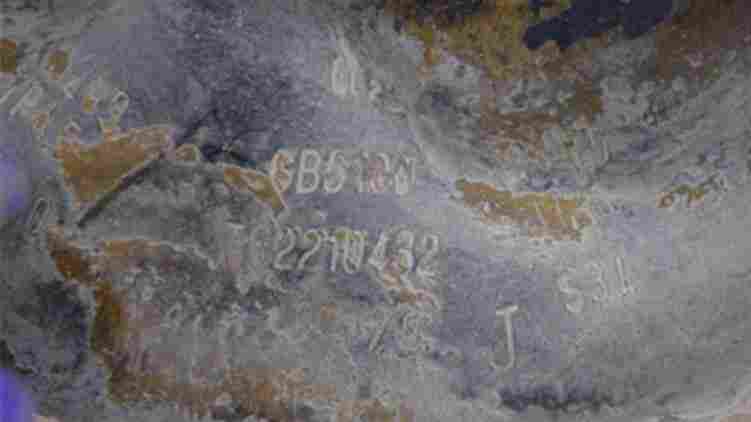 Markings and stamps are clearly visible on cylinders that were likely used in a chemical weapons attack, including "CL2" — denoting chlorine gas. "At the top part of both cylinders stamped markings were still visible. Among the various stamps was the alphanumeric CL2" — denoting chlorine gas — the report states.